"I was writing love songs ― I guess I was writing love-pop songs," singer-songwriter Rae Spoon says, describing the tunes he penned for his latest release Love Is A Hunter. Spoon pauses, then jokingly laughs at how the "love-pop" label must portray him. "This is terrible for my career!" Spoon may have ventured away from his country-tinged folk songs of yore, but Love Is A Hunter is no pack of cheap bubblegum. Instead it's an honest, emotional admission to complicated relationships, late-night dance parties and finding a community as a transgendered person. The Montreal-based musician first eased into a folk-pop sound with 2008's Polaris nominated album Superioryouareinferior. After its release, Spoon spent an extensive amount of time in Europe and began absorbing the Euro-dance scene's vibrant electronic flavor, resulting in a sound that has further crept into the pop category. "I feel like for some reason, at the end of my 20s, I'm working out certain things about relationships that I hadn't worked out yet," he says of the album's lyrical content, which mirrors the candidness and ease of its sound. "I think the social construct of relationships is interesting, especially how you're only supposed to love the person you're romantically involved with. So [Love Is A Hunter] is not necessarily all about romantic love." 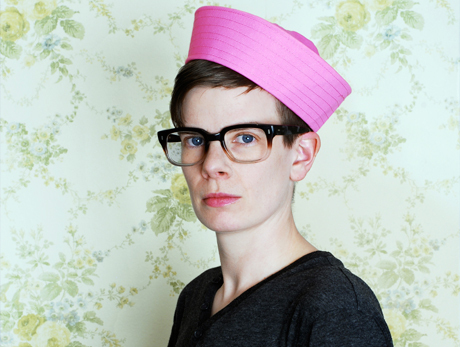 Like Superioryouareinferior, Love Is A Hunter was produced by Calgary's Lorrie Matheson. The album is arguably Spoon's most intimate yet; organic elements and "screw-ups" were left in the mix to make the album personal, yet the songs were purposely left unspecific to keep some clothing on his thoughts. "I am being honest, but I don't feel vulnerable," he admits. "That's the nice thing about pop music. And that's why people like it: because they can put themselves into it."